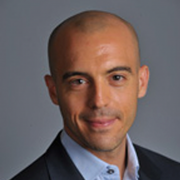 New research, one report by IDE head of Analytics, Sinan Aral (pictured above), and another by Postdoctoral Associate, Sagat Bar-Gill, were recently published and featured in prominent news journals. Aral's research with Christos Nicolaides, Exercise Contagion in a Global Social Network, was published in Nature.com April 18. It was also featured in news articles in New York magazine andThe New York Times. In essence, the research analyzed daily exercise patterns of over a million runners in a global social network over five years. The examination showed that "exercise is socially contagious and that its contagiousness varies with the relative activity levels of and gender relationships between friends. Less active runners influence more active runners, while the reverse is not true. Both men and women influence men, while only women influence other women. " The work shows that social media data can be used to examine "peer effects on actual behaviors and real relationships interacting in their natural states." Learn more about the power of social influence in this video of Sinan Aral. Bar-Gill's research, Online Exploration, Content Choice, and Echo Chambers, was featured in a London School of Economics journal. It is based on the concept that "reducing the visibility of ‘likes’ and ‘views’ may help mitigate social media echo chamber effects."